Latest Update made on May 10, 2016. The polar ice caps of the Data Scientist era have completely melted, so if you are looking to work for one of the top data science companies then you have to ace data science interviews with confidence. Career Counsellors at DeZyre regularly receive questions from students or professionals interested in doing data science asking: “What do I need to get hired as a Data Scientist at top data science companies?” At DeZyre we stay connected with industry experts in Data Science and have a good overview of the industry and their requirements. To help students transition from academia to industry, career counsellors at DeZyre have compiled some tips to craft an optimized data science resume. As companies make a leap into big data, data scientists are in high demand with every company wanting to hire a good data scientist because of the money at stake in big data projects. Data Scientists have a rare hybrid skillset, as they not only solve business problems by cuddling information from the data but they communicate the results and encourage others to apply that information for profitable business decision making. Data science companies are looking to hire data scientists who are not just ninja quantitative analysts but are equally good with storytelling skills, have a sensible logical reasoning ability, business acumen, communication skills and the most important technical skills like programming in Python, R, Hadoop, Spark and other data science tools. 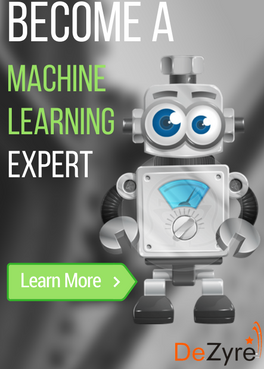 Are you interested in landing a Data Scientist job at one of the top data science companies? Your best efforts as a Data Scientist depend almost on how you ace a data science interview. Understanding the expectations of the organization and careful preparation is not just what it takes to survive a data science interview. 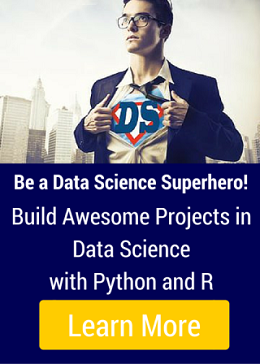 There are many highly talented superheroes in our population who have the capability to change the landscape of a data science company by developing an algorithm and implementing few lines of code. This implies that there are several people out there who want you to think that they are one of those geniuses like you who want to become enterprise data scientists. A candidate must be able to set himself apart - as the best and the most qualified candidate to fit into a data scientist role. CLICK HERE to get the 2016 data scientist salary report delivered to your inbox! “I have not received interview calls from any of the top data science companies.” This is a common complaint we hear from many of the aspiring data scientists even though they are equipped with pretty good data science skills. If you are not getting interview calls from any of the top data science companies despite having the skills that are suitable for a data scientist’s job role, then you are incapacitated by an ineffective data science resume. Once recruiters receive the resumes, the first step is shortlisting it, to finalise the list for the next level of interviews. 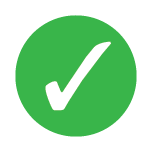 For any candidate, this step is critical and the result of this completely depends on their resume presentation. A recruiter shares his experience on how he shortlisted 10 best resumes from a pile of 47 resumes in just 20 minutes. He says that the majority of the applicants were graduates and post-docs with STEM related degrees who mentioned in their introduction, that they wanted to do "Data Science and Stuff". Resumes create the first impression, which helps the hiring managers decide whether a particular candidate should be invited for the interview or not. 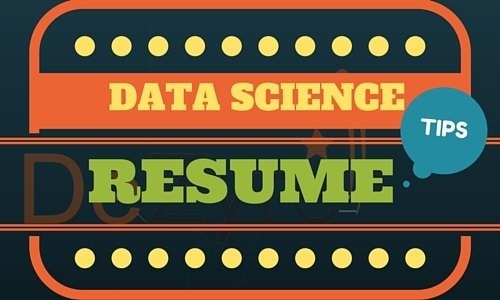 Here are some of the most helpful tips for creating a perfect data science resume that will make your resume stand out from the pile! • A single page resume highlighting the job experience and skills required for the job description is enough to get an interview call. Even if a candidate has 15 years of experience and has 2 or 3 Master’s degree one page resume that highlights the skills required to get the job done is sufficient. • A cover letter should always accompany your resume that describes why you should be interviewed for the open data science position, who you are and why you are the best fit along with your expectations from the company. • Do not include any kind of technical skills that you have not worked with, as hiring managers do not want to hire someone who just have a theoretical knowledge on Python, R, Hadoop or any other technical skills. Organizations need data scientists/data analysts who have practical experience working on a hands-on projects or someone who has worked in a production environment. 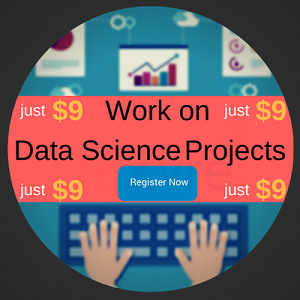 • For any data science job role, working experience on practical projects will help the hiring managers overlook any low grades in education. For candidates who have no experience in working as a data scientist they should highlight about the projects they have worked on during their training and certification programs, mention about internships if any and hackathons or competitions that they have participated in. • Keep the language and formatting in your resume simple and make sure there are no grammatical and spelling errors. Remember, your data science resume is there to get you a data science interview call and it is not meant to demonstrate your artistic masterpiece. A well-built resume is key to get through the first door – in the process of getting hired as a Data Scientist. The next step will be to prepare for Data Science job interviews. Stay Tuned to our blog to learn more on how to prepare for Data Science job interviews.